This comes after Mamelodi Sundowns suffered a shocking 1-0 loss to Caf Champions League rookies AS Togo-Port on Tuesday. Following the win, the Togolese side move third in Group C led, while Masandawana are now rooted at the bottom of the group. Prior to this game, Pitso Mosimane’s registered a 1-1 and 2-2 draws at home to Wydad Casablanca and away to Guinea side Horoya AC respectively. “We don’t want to get into a position where we are depending on other teams to win or to qualify, we need to do it ourselves,” said Laffor. Laffor. who came on late in the match for Thapelo Morena, will be hoping to get a chance when the Absa Premiership champions host the Togolese side next week Friday in Atteridgeville. “Everybody wants to play football. 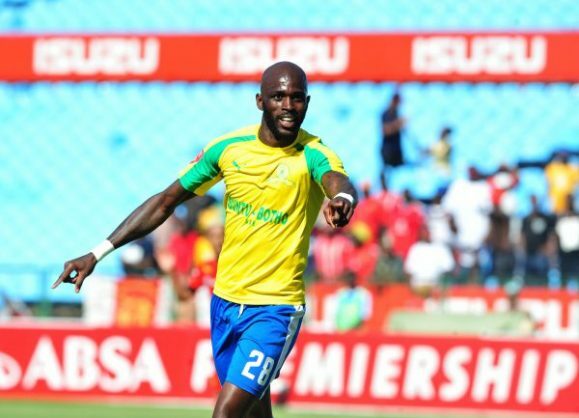 It is important for a footballer to always be on the pitch and since I have been at Sundowns I have been able to play football none stop,” he said.